100% of your donation goes directly to the scientist – not the institution. Israeli scientists are recognized as a formidable source of scientific innovation. They think like entrepreneurs, and have a major global impact on cancer research. The research value, dollar for dollar, is unrivaled. Israel conducts cancer research at a fraction of the cost of comparable research done in the U.S., with fewer restrictions. Choose which fellowship to fund. As a fellowship donor, you receive progress reports on your research project and are eligible to meet the scientist in Israel, in person. – will go far toward finding a cure. March 2019 – Israeli researcher Ariel Munitz discovers that white blood cells responsible for chronic asthma and modern allergies — may be used to eliminate malignant colon cancer cells. Read the article here. We are writing to update you on ICA Israel’s recent activities. On Sunday October 7, 2018, the President of the State of Israel, Reuven Rivlin and his wife, Nechama, announced the kick off of the Israel Cancer Association’s 2018-2019 Year of Activity. The moving ceremony was held at the President’s Residence in Jerusalem with pediatric cancer patients in attendance, as well as representatives from ICA and volunteers from its branches throughout Israel. The event also featured a performance delivered by singer and cancer survivor Ruhama Ras and Asil Abu A-nil, who recounted how the Israel Cancer Association enlisted her support in the fight to find a cure. Also present was Dr. Margaret Foti, CEO of the American Association for Cancer Research (AACR), who came to take part in the joint AACR, EACR (European Association for Cancer Research) and ISCR (Israel Society for Cancer Research) Conference on The Cutting Edge of Cancer. Dr. Foti delivered a speech at the Ceremony, which exemplified the importance of collaborative research .She lauded Miri Ziv for her extraordinary leadership of ICA, and noted the importance of the work done by ICA to make strides in cancer research and patient advocacy. The full speech is attached here as a PDF file. ICA is also coordinating various activities in Israel during Breast Cancer Awareness month, including having the Ferris Wheel at the Luna Park Amusement Park in Jerusalem lit up in pink for the entire month of October, in collaboration with Estee Lauder. 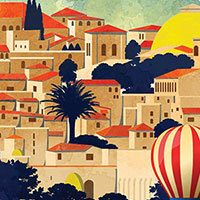 Here is a link to an article in the Jerusalem Post about this event. We would like to take this opportunity to announce ICA USA’s Annual Hope and Heroes Luncheon and Fashion Show, Thursday, January 31, 2019 at The newly renovated Four Seasons Resort, Palm Beach and our 10th Annual Golf Classic, Monday, April 8, 2019 at Boca Rio. The money we raise at these events will be used to fund fellowships for brilliant scientists in Israel doing groundbreaking cancer support. Save the Dates and Invitations will follow. As always, thank you for your willingness to make a difference by supporting cancer research breakthroughs occurring in Israel, but impacting the world. News from Israel: Your donations help promote cutting-edge cancer research and treatments! 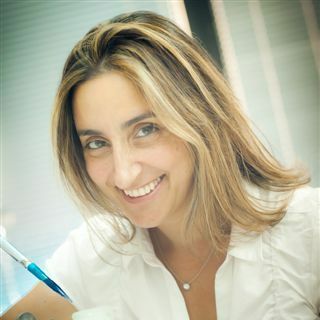 Thanks to early research Fellowship funding from ICA USA donors and Board Members Nancy and Peter Brown, new research conducted under the direction of Professor Ronit Satchi Fainaro, has led to the development of a probe that makes cancer cells glow, potentially ensuring easier surgical removal of them. For 60 years, Israel Cancer Association (ICA) has been making a dramatic difference in the lives of individuals touched by cancer. By providing major funding to brilliant cancer scientists in the State of Israel, ICA has advanced cancer research worldwide. Please join in our mission to support innovative cancer breakthroughs. Together we can fund a cure!